This post is brought to you by Uncommon Goods. A privately owned retailer out of Brooklyn New York that features unique and mostly handcrafted designs created in harmony with the environment and without harm to animals or people. Most of their products are made right here in the USA, and one-third incorporates recycled or up cycled materials. They use their business to impact the world in a positive way, supporting non-profits such as RAINN, American Forests, Women for Woman! Thank you for being supportive of the sponsors on this blog so we can continue to bring you good content! 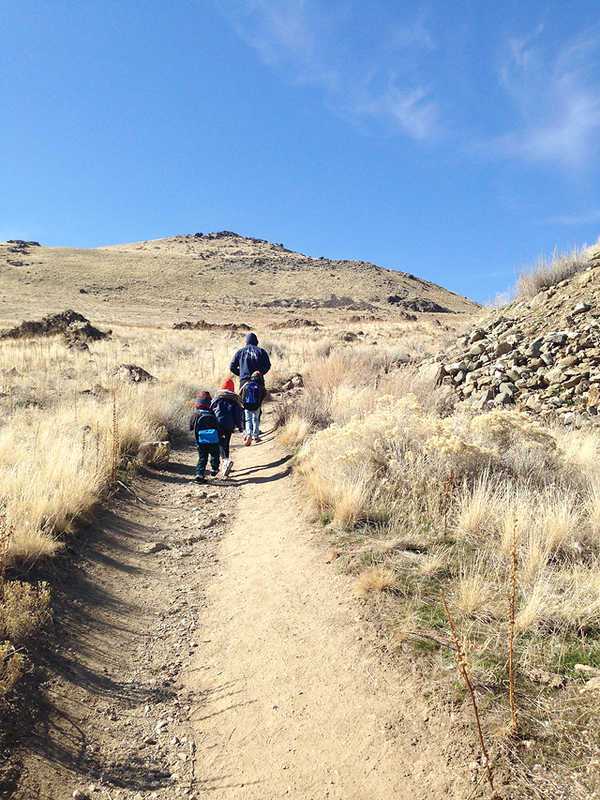 My little family loves an adventure, so we decide to take advantage of no school on President’s Day and head out for some fun. 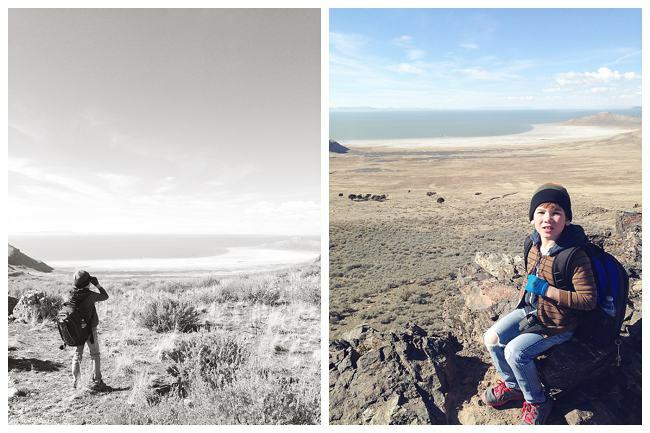 We are so lucky to live in Utah where there are so many places to see and things to do outdoors. 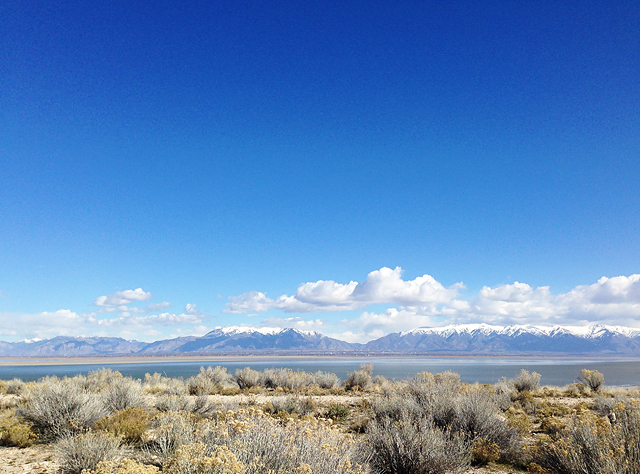 One weekend we may be skiing in those mountains, then the next exploring Antelope Island at the Great Salt Lake! I am loving this hand embroidered state pillow from Uncommon goods. Utah pride! So cute! So many other fun personalized gift ideas here, and here! 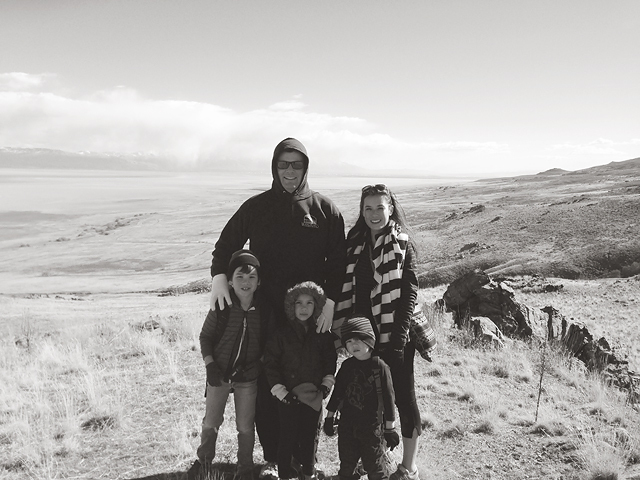 Antelope Island is always a favorite with the whole family! 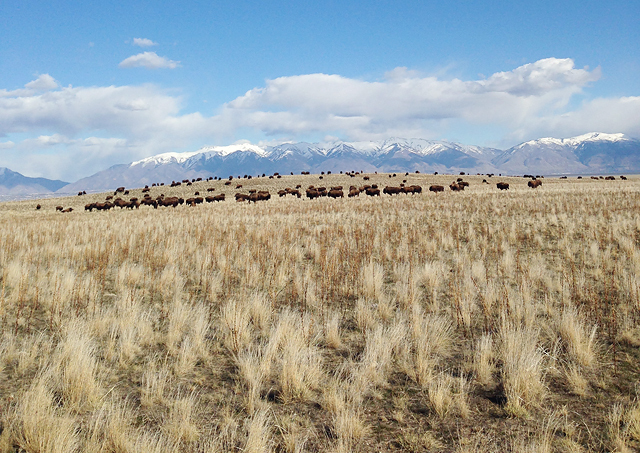 There are real buffalo, and wildlife roaming around right in front of you! 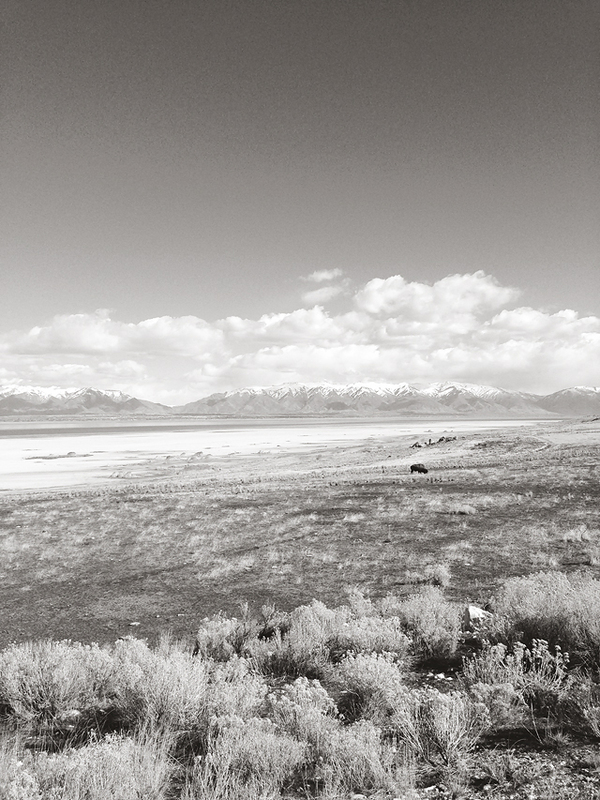 On the island they have buffalo, coyotes, deer, antelope, many types of birds and more! 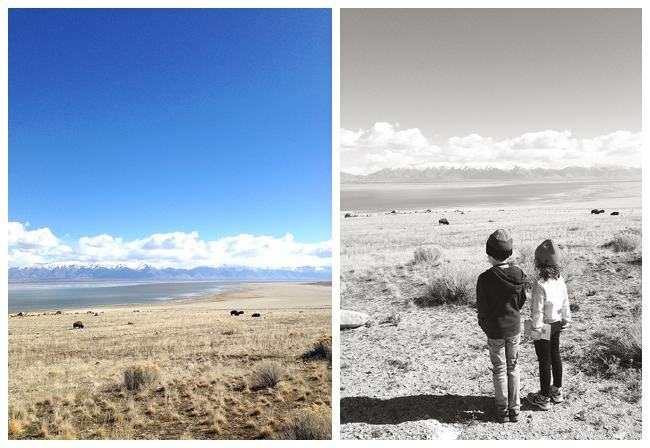 At this State Park, they usually keep about 500 or so Buffalo on the island. You can see glimpses of them all over the island, and usually at some point a big herd of them. One time we were out on the island and the herd decided to make it’s way down the mountain. Hundreds of buffalo ran right in front of our car! It was crazy! 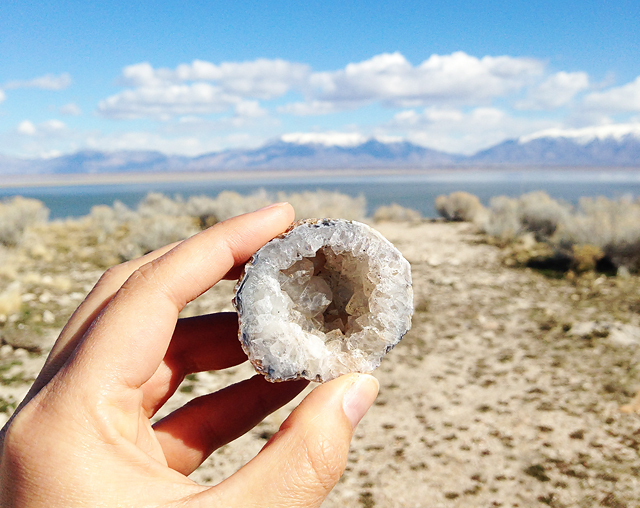 I snagged this Geode from the gift shop. Isn’t it pretty! I decided I’m going to collect geodes from all our travels around from now on and display them in our home! 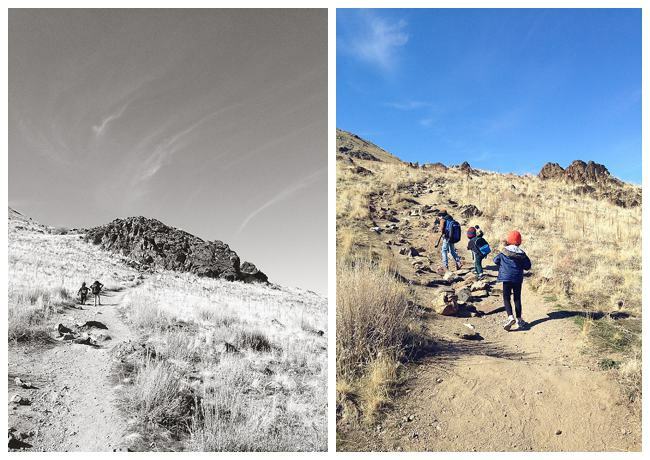 As a family, we love to go hiking together, and we decided to head out and see what we could see. It was pretty windy and chilly, but we decided to do it anyway. There were some buffalo not to far off our trail. You do have to be cautious when out hiking to not disturb them since they are wild animals. 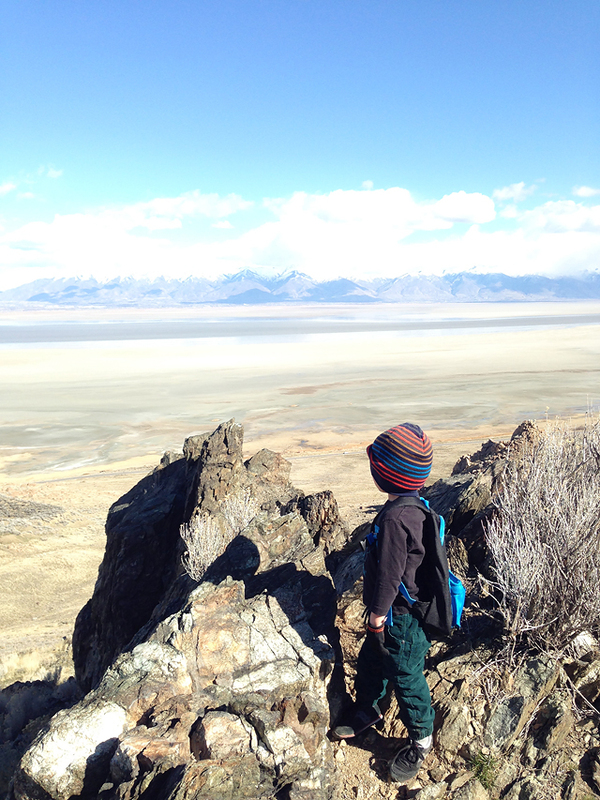 My youngest Thomas is quite the mini adventurer at only three years old. He literally ran to the top! I had to chase him up the mountain! I swear he must be half mountain goat. But, I’ll never forget when he got to the top, he looked out and said, “That’s what I’m talking about mom!” Ha! This kid, while only three can appreciate a good view. He says that kind of thing to me all the time! 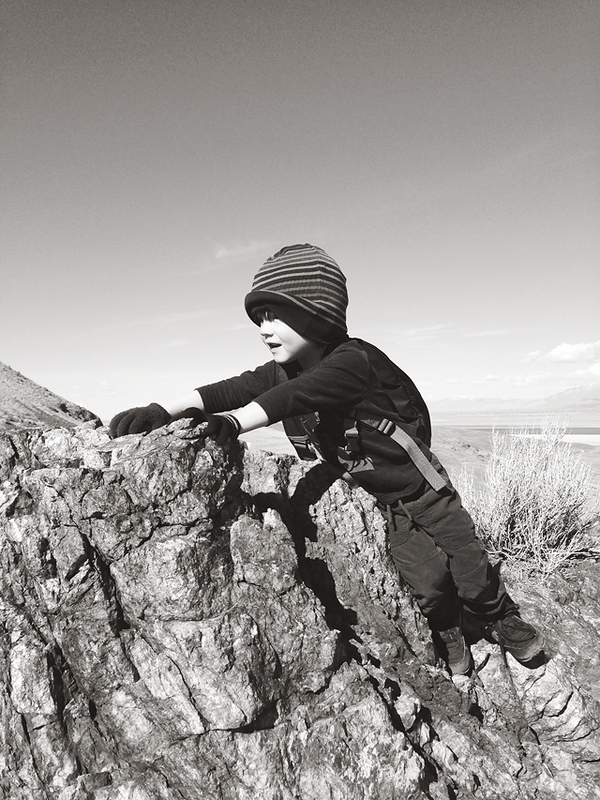 He also assures me that he can climb mountains, and that he is a real rock climber. 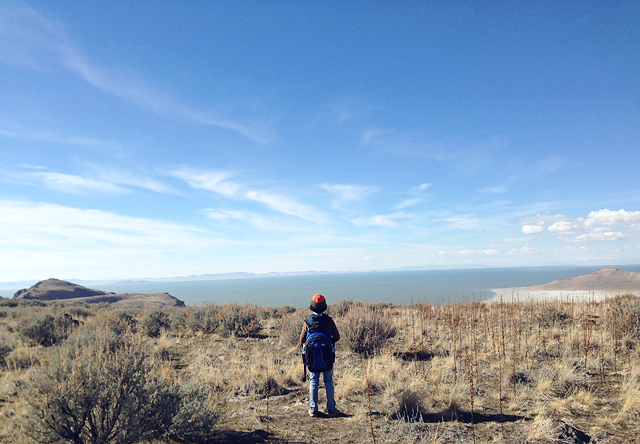 We made it to the top to be able to see the view of the other side with a nice view of White Rock Bay. 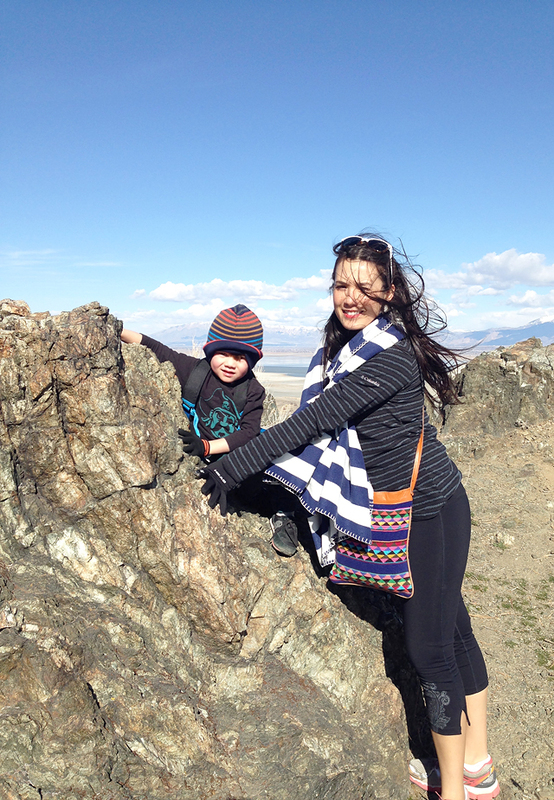 I love nothing more that to explore with my little family, and show them all there is out there to see! My goal is to show my children the world, one place at a time. I hope they can gain a great appreciation for the beauty of our earth, and the many amazing scenery that is out there that God created for us! 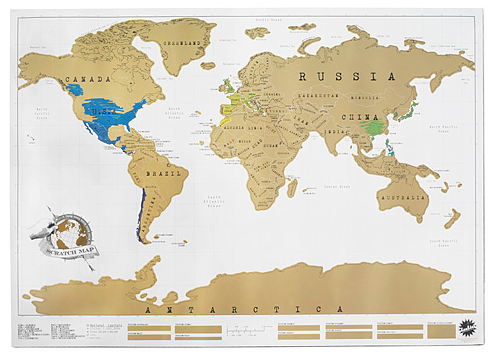 I love this Scratch Map from Uncommon goods! You can track your travels and scratch off where you’ve been, and when you scratch off the areas you have been it reveals adventurous pops of color that give geography lessons and domestic treasure hunts! How cool is that! I want to hang one up on our wall, and slowly uncover the world! Here’s to many, many more adventures!